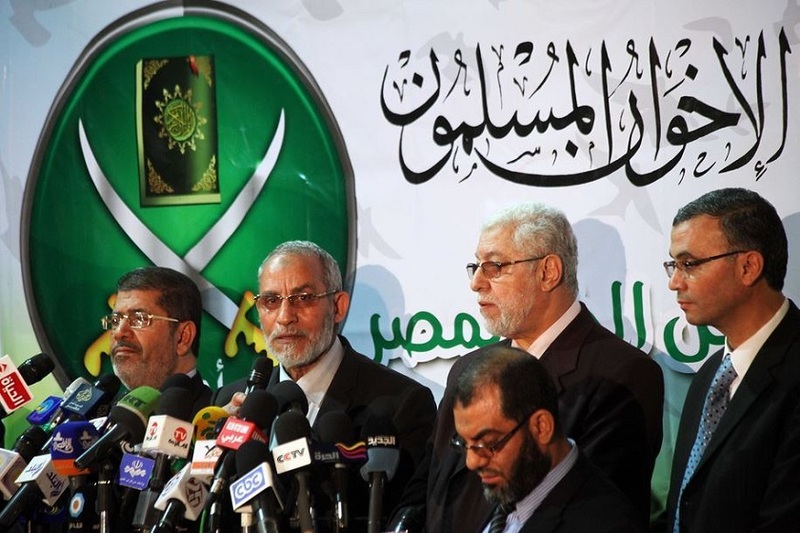 London and Istanbul have become the new base of operations for the Islamist Muslim Brotherhood. Following the ouster of Brotherhood President Mohamed Morsi in 2011 and their subsequent banning in Egypt in December last year, the organization is recalibrating abroad. An early base of operations was Qatar, where the al-Jazeera network was widely perceived, even by its own staff, as being biased toward the Brotherhood. But the United Arab Emirates and Saudi Arabia joined Egypt in labelling the MB a terrorist organization, and their pressure on Qatar resulted in the expulsion of some leaders. Now several office blocks on London’s A406 North Circular Road comprise one of the two main centres of operation, the other being Turkey. An investigation into MB links to terrorism was completed by former Ambassador to Saudi Arabia, Sir John Jenkins in July 2014, but its results have not yet been made public. And bar a few lone journalists keeping tabs on the story, there is little public accountability about the presence and growth of such a controversial movement in Britain. The MB is accused of burning up to 50 churches and Coptic businesses following the violent dispersal of pro-Morsi sit-ins on August 14, 2013. In December, in an Asyut court 40 Morsi supporters were found guilty, while 61 others were acquitted. Ian Black of the Guardian has followed the story, implying the inquiry is being leaned on by Gulf nations who have banned the MB. Delay in its publication is attributed to their displeasure that the report clears the MB of terrorism. Black quotes MB apologist Anas al-Tikriti, founder Director of the Cordoba Institute, who says Islamists like the MB must be seen as a middle ground in the fight against extremism. If allowed to govern, he says, they would liberalize and sideline their hardliners. Shadi Hamid of the Brookings Institute debunks this theory, saying Islamists only ever moderate their behaviour under duress. Once enjoying democratic freedoms, they tend to revert to their original illiberal religious conservatism. Tikriti, whose father was in the Iraqi Brotherhood, recently denied on Twitter being a member or lobbyist of the MB. Al-Jazeera however describe the Cordoba Foundation as a Brotherhood front. And the Hudson Institute, in a study of UK-based Islamism, calls him one of their shrewdest activists. But Ibrahim Mouneer, an MB senior leader in London, told the Times that if the group were banned it would result in increased terrorism at home, with moderate Muslims concluding that an irenic approach didn’t work. Lapido Media has argued this purported dichotomy between Islamism and jihadism is a false choice, and the government should not be gulled. According to Andrew Gilligan of the Telegraph, the UK inquiry will confirm that the MB is not a terrorist group and should not therefore be banned. And a British security source told Lapido they prefer to turn a more or less blind eye within the law, believing this offers opportunities for ‘influence’. But Gilligan provides extensive evidence the group is linked – directly and indirectly – with terrorist groups, in particular with Hamas, and is at least potentially outside the law. Cordoba Foundation is named by Gilligan as one of 25 groups with Muslim Brotherhood links. The Muslim Charities Forum is mentioned also. A June report by the UAE based The National linked Takriti, his family, and associates also to the Middle East Eye and Middle East Monitor. The Egyptian foreign ministry has asked in vain that London shut down UK based pro-MB satellite channels and newspapers like Alarabi, al-Hewar, and al-Araby al-Jadeed, saying they incite terrorist activity in Egypt. The BBC has examined this growing media outreach that fails to promote impartial journalism, and is said to be funded by Qatar. According to the Washington Post, this incitement is clear in the MB’s other haven abroad, Turkey. It says the Masr al-An channel, funded and managed by the MB, warned that the families of Egyptian police officers would be ‘widowed and orphaned’. Other Turkey-based pro-MB channels like al-Sharq, Mukammilin and Rabaa employ similar rhetoric, and even allowed one MB supporter to issue a fatwa during a live interview to assassinate Egyptian President Abdel Fattah al-Sisi. Others advocate the killing of media figures and warn foreigners to leave Egypt lest they become legitimate targets. The fatwa caused uproar, leading the Brotherhood on its English language Twitter feed @IkhwanWeb to condemn it and deny endorsing the channel. Although Al-Qawi was official spokesman for the Endowments Ministry during the presidency of Morsi, it is hard to pin down his ‘membership’ in the Muslim Brotherhood. The MB is a hierarchical organization with strict guidelines for who is in and who simply is like-minded. Those who are members follow policy. Others aid and cooperate. The MB does not publish its membership list. Many MB self-identify. And the period in power gave the opportunity to see new faces emerge. But without an admissions policy, it is very difficult to identify ‘members’. MB-watchers have not seen the sheikh identified either way. But clearly he is at least a supporter and often featured in their broadcasts. On January 25 this year a delegation of the Egyptian Revolutionary Council and the so-called Parliament in Exile, including leading MB figures, visited Washington and met State Department and White House officials. They asserted that the revolution was non-violent and the only way to undo the coup. The State Department had previously said Egypt had given it no evidence of MB links to terrorism. Just two days later the MB released a statement urging its supporters to prepare for a long and uncompromising jihad, stopping just short of an outright call for violence. Anglican Bishop of Egypt Rt Revd Mouneer Hanna Anis had his Suez church attacked by pro-Morsi supporters following the dispersal of the Rabaa and Nahda sit-ins in August 2013. He strongly suspects the MB to be behind Egyptian violence and terrorism. This article was originally published at Lapido Media, as a press briefing service.